galley provided for review from netgalley. I was pleased to discover that this book ended up being way less peachy than I was expecting. The author definitely has a sense of humor, and he isn't afraid to use it. 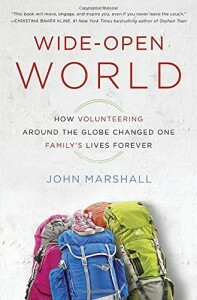 His experiences with his family are fascinating- as a travel memoir, this book is wonderful. The reflections are a little cheesy, but I imagine it would be a challenge to write about a life-changing six-month journey without falling into a bit of cheesiness. I enjoyed seeing how his relationships with his children progressed and changed.